Moths are definitely one of the most common household and garden pests. They are often found in your pantry, closet, and cabinet especially if there are food containers or natural fabrics around that area. Several conditions could attract moths that could ultimately lead to a moth infestation. They include; humid conditions; soiled clothes or clothes left unwashed; damp murky cupboards or cabinets, a pantry that is left open often, rotting foodstuff like a banana peel. Signs of a moth infestation include; small holes in clothes, discoloring of garments, spongy web-like netting at corners of grills, racks, and wardrobes; stinking clothes closets and a couple of moths flying around. Occasionally sun and brush your clothes made from natural fabrics. Avoid spraying alcohol or alcohol-based remedies as this may discolor your clothes. Occasionally clean your cupboards, cabinets, and closets with soap water. Frequently clean your curtain, sofa covers as well as your window and door screens. Get rid of old clothing items that are lying around. Frequently dust your home items that are suitable to be dusted. Moths that are in your house usually stay hidden in cracks and crevices which makes them difficult to get rid of. The first step in getting rid of house moths is finding their hideouts and sealing them. Use silicone caulk to fill out any gaps and cracks that are probable sites for them to hide. Vinegar is an excellent repellent for insects and pests. Mix equal parts of vinegar and water. Use this solution to wipe off the shelves. It will kill the eggs and reduce further infestation. Vinegar also keeps moths away from the house. Make sure you do not spray it directly on fabrics as it may leave a stain on them. Whether the moth infestation is in your pantry or your closet, this home remedy is sure to work and help you get rid of the moths. Place cinnamon sticks in your closet around your clothes, in the drawers and on pantry cabinet shelves. The strong odor will keep moths and other bugs away from your home. Indian lilac, also known as neem, can be used in many ways to get rid of moth infestation around your home. You can get fresh neem leaves, spread a handful of them in corners of your pantry to repel moths. You may also use neem oil to keep the moth away from your clothes. Simply, dilute the oil with water and spray it in your closet. Another way to use the powerful insecticide is to sprinkle its dry powder, which is readily available in local stores, around your home. Moths do not like the smell of cedarwood and hence gets repelled by it. Place a small bag, preferably a muslin bag, containing cedar chips in your closet. You may also spread them liberally on the shelves of your pantry. As soon as the smell fades off, replace them with fresh cedar chips. Vacuuming your home is a great way to get rid of moths while keeping your home clean. Since moth larvae can take nutrition from dead skin, hair, and crumbs, you may still see an infestation even if you store food and clothes properly. Vacuuming helps in cleaning the larvae, as well as moth eggs from carpet, upholstery, and corners of the walls. Dried herbs, like lavender and rosemary, are known to drive away moths and other insects from your home. The aroma of these herbs keeps your surrounding smelling fresh while eliminating moths. 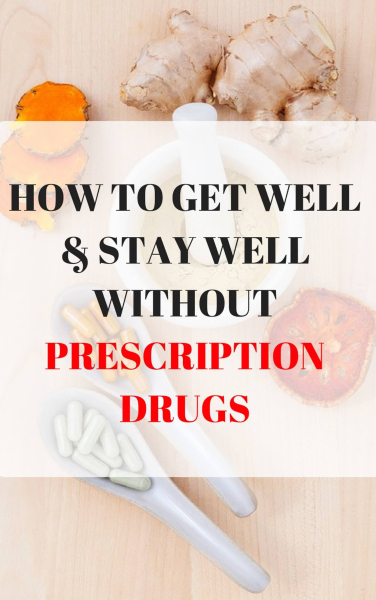 Place them in your closet, drawers, cabinets and kitchen shelves. Moths cannot withstand high temperatures. Thus, using a hairdryer on its highest temperature setting and slowly moving the dryer across the infested fabric is a solid home remedy to get rid of moths. This remedy is particularly suitable for large textiles or upholstery that can’t fit into a washing machine or a freezer such as a sofa, carpet, or armchair. Heat the infested item with a hair dryer to kill the moths. For smaller items, You may also put them in an oven heated to 120-degree Fahrenheit and let the item stay in the oven for 30 minutes. This will kill all the eggs and the larvae. Moths love moisture and an increased humidity around the house is an invitation for these insects. Constantly check the level of humidity in your house with the help of a hygrometer. Make sure it is 50% or lower. Use a dehumidifier to lower the humidity and control the moths. Bay leaves have a distinct aroma that is disliked by moths. This easy and cheap remedy works well in repelling moths. Spread dried bay leaves in all the places you suspect to accommodate moths. Bay leaves will not only protect your house from moth but from a variety of insects that are harmful. Cold treatment is another effective way to get rid of the infestation. Just wrap your clothes in plastic bags and put them in your freezer. Leave it for at least four days to kill all the attached eggs. Give it a good wash and iron them to ensure all the moth eggs are eliminated. Essential oils have concentrated fragrance and qualities that are helpful to us in many ways. Besides being used mostly in aromatherapy, some of these oils also help you get rid of insects and moths. A solution of lavender oil and Indian lilac oil works as a great moth repellent and is often used as one of the best remedies to get rid of moths. Dip a soft cloth or sponge in this solution and wipe over all the affected places. Storing your food and clothes in a properly sealed way can prevent a moth infestation. Make sure you keep all the food sealed in airtight containers that do not allow moths to easily reach them. Using moth-proof containers to store your clothes will help prevent an infestation. As the name suggests, mothballs are made to repel moths from your clothes and other places. So, spreading these balls all around the affected area will repel moths and prevent any infestation. Adult moths can be trapped by creating a DIY moth trap. Take a few strips of bright colored paper and apply oil on both the sides to make it sticky. Place or hang these strips near the affected area. The moths will get attracted to it and will get trapped. Discard the paper once too many moths get trapped. You could also use a sticky flypaper that is widely used to trap various insects to also trap moths. Moths get repelled by the strong fragrance of cloves. Placing a handful of cloves tied in a cloth in places of infestation is great for warding moths off. It can be mixed in a potpourri to be placed inside your closet or just spread a few over food grains to protect them from the insect. The smooth texture of diatomaceous earth is actually very harsh for the small insect. As soon as they come in contact with it, the sharp particles cause them to get abrasions and die. Since it is non-toxic and food grade, you can use it with kids and pets at home and near food area. Moth larvae can absorb nutrition from a dead skin, a broken hair or just a drop of food on your clothes. Washing your clothes properly before placing them in the closet is a great way to prevent moth infestation. When there is no food, they will not be able to thrive. Mix 3/4th cup of cornmeal and 1/4th cup of borax. Put a teaspoon of it in a jar and place it near the infested area. The moths will get attracted to the cornmeal and eat it. As they will also eat borax with the cornmeal, they will get poisoned and die. 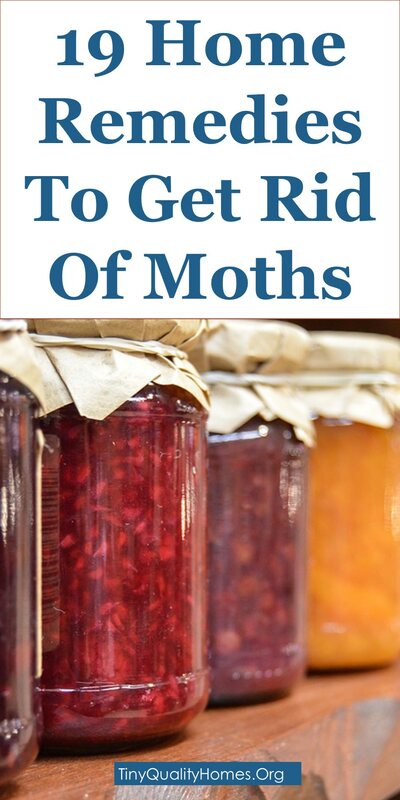 Check the jar regularly and remove the dead moths from it. Replace the bait once every month until the infestation ceases.